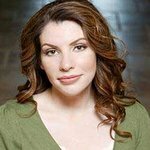 Twilight author Stephenie Meyer is teaming up with a skateboard company to raise funds for helping homeless people. Meyer’s collaboration with Hobo Skate Company will see them design unique merchandise based on her sci-fi thriller novel ‘The Host’, which focuses on alien parasites who take over humans – which is much more appealing to the skater crowd than Meyer’s previous work. The Hobo shirts and skateboard decks feature images of the alien. Together with the business, the founders also started the Hobo Foundation in March 2009. They give a portion of their profits to the foundation which will aid local homeless charities. The merchandise will be available online at first here, and then will be sold in major retailers.